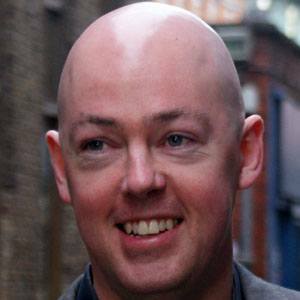 Though he is also known for works such as The Thief of Time, Next of Kin, and Noah Barleywater Runs Away, this Irish writer is perhaps most famous for his 2006 young adult book The Boy in the Striped Pyjamas and for his 2011 novel The Absolutist. He earned a bachelor's degree from Trinity College, and a master's degree from the University of East Anglia. After being published in the Sunday Tribune, his debut short story received a 1993 Hennessy Literary Award nomination. In 2012 he was awarded the Hennessy Literary Hall of Fame Award. He married a man in February of 2014; they have resided in Dublin, Ireland. English child actor Asa Butterfield stars in the 2008 movie adaptation of Boyne's The Boy in the Striped Pyjamas.